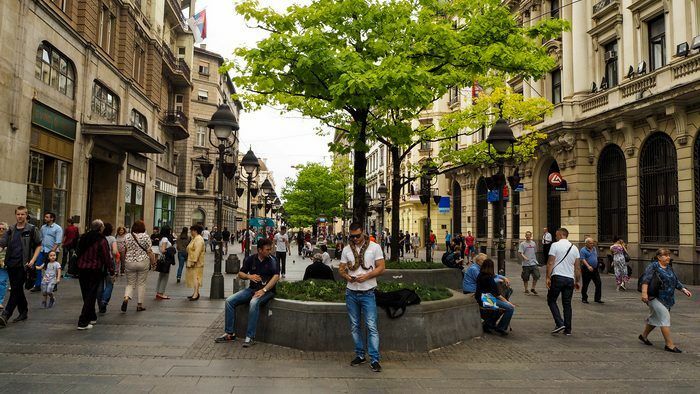 (Updated on June 23, 2018) Is Belgrade worth visiting? Beautiful wide boulevards, an indefinite supply of excellent cafes, and locals who simply know how to enjoy life – this is why you should make it to Belgrade at least once in a lifetime. Belgrade, capital of Serbia, is one of Europe’s best-kept secrets. It wasn’t until recently that Belgrade made its name as a tourist destination. With its rich history dating back to Celtic times, the city offers outstanding historic sights. 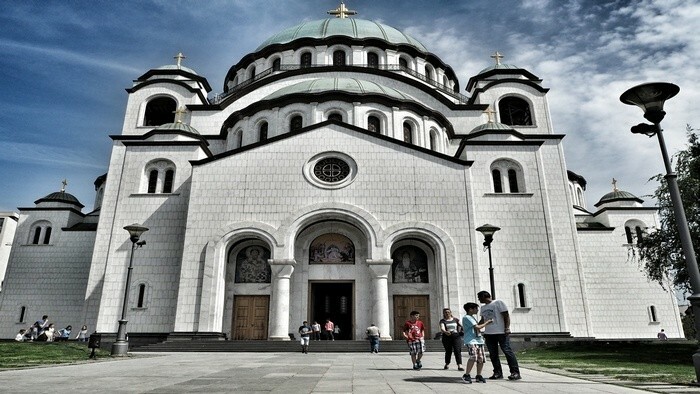 With this article, you will learn about all the best things to do in Belgrade, Serbia. And there is a lot! The Serbian capital lies on the confluence of the Sava and Danube rivers. The strategic position had made Belgrade into a battlefield time and time again. Not even the 20th century was peaceful: Belgrade suffered serious damage during World War II and 1999 NATO bombing. Luckily, peace had prevailed in Belgrade since then. This year, I got the chance to visit Belgrade for the third time. I love returning to this city; first, because the city center is really pretty and has a special atmosphere. Second, time somehow goes slower in Belgrade. Serbian people seem to have mastered the art of living in a more relaxed manner, without the need for permanent stress. 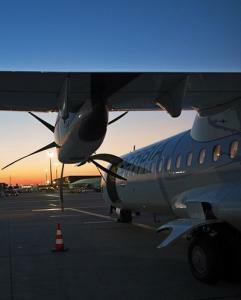 The most convenient way reach Belgrade is by air. Nikola Tesla Airport is located 18 kilometers from the city center. National carrier Air Serbia offers flights from 49 destinations. Find cheapest deals with Kiwi.com. If you are already in the region, consider reaching Belgrade by car or railway. Train connections are available from other European destinations such as Budapest, Vienna, Ljubljana, and Prague. When visiting Belgrade and around, you might consider making it to eastern Croatia and explore my beloved Slavonia. When it comes to outdoor experiences in the Balkans, there is a lot of things to do in Bosnia, too. The best way to explore the city is on foot. The city center is quite compact so there is no need to use public transportation. Everything between Kalemegdan, Kneza Mihaila street and Skadarlija corner is within walking distance. This white marble building overlooking the city from the quarter of Vračar belongs to the highlights what to see in Belgrade. It’s the biggest orthodox church in the Balkans, and one of the biggest on earth. As many as 10,700 people can fit inside this monumental building. The walls inside the St. Sava church are unattractively covered by scaffolding–the church had been patiently awaiting its completion since 1936, when construction officially began. Work on the interior is still in progress, but the northern section is still open to both worshippers and visitors alike. TIP: Take a good look up at the church’s dome. It is quite special as it was built separately (weighing an impressive 4000 tons), and lifting it up to the roof took a full 20 days. Quite amazing, huh? The historical complex of Kelemegdan is the oldest monument in town. This is the place were Celtic tribes first settled in the 4th century BC. If you are into the history, this deserves a spot among the top things to do in Belgrade. Due to its strategic location, the fortress was always a target for various invaders that wanted to rule the region. Despite this traumatic past, the building is now a popular leisure destination for local Belgraders. The surrounding 30-hectare park is stunning, and offers a fine vantage point for stunning sunsets. TIP: Make sure to observe the confluence of the Danube and Sava rivers and the statue of Pobednik (Winner), one of the symbols of Belgrade. Next to the fortress, an outdoor collection of historical canons lines the outer wall of the Military Museum. 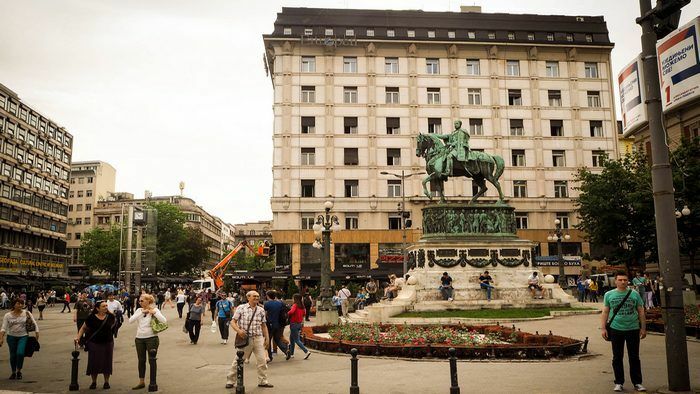 When Belgraders make plans to meet, their choice location is usually “at the Horse,” a reference to Republic Square, which is dominated by a statue of Mihailo Obrenovic, the Serbian Prince that freed Serbia from the Ottoman Empire, atop a horse. Republic square belongs to the best things to do in Belgrade if you want to experience the architecture. Surrounded by beautiful historical buildings such as the National Theatre and National Museum , the square point from which to orient yourself when navigating the city. You can easily reach Terezije a Knez Mihailova street from here. TIP: If you want to relax, I recommend you stop by Student Park (Studentski Park), about a 5-minute walk from Republic Square. There are plenty of benches to sit on and for some reason, I really love this place. 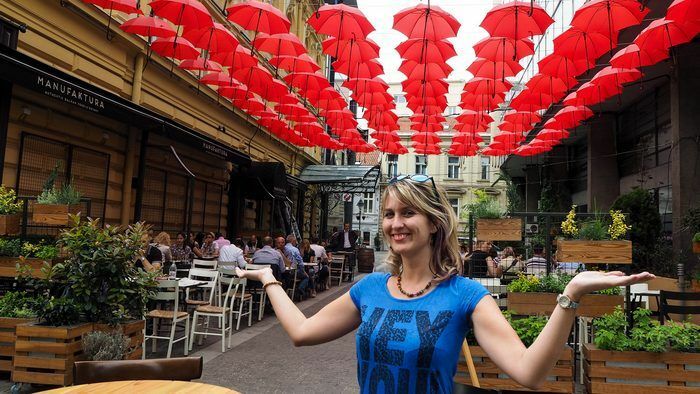 If you are asking what to visit in Belgrade when hungry, then I have a tip for you. The kilometer-long boulevard is surely one of the most beautiful pedestrian zones in southeastern Europe. There are plenty of shops as well as the most expensive flats in the town. Who wouldn’t like to have an address on the prettiest of Belgrade’s street? TIP: Stroll the Kneza Mihailova in the evening, when the atmosphere is more romantic. This cobblestone street is legendary. Writers and poets once flocked here, it gaining it the reputation as the bohemian center of the city. With all the rapid post-war rebuilding that has taken place in Belgrade, it hard to find as picturesque a street as Skadarlija is. Thanks to its atmosphere, Skadarlija is usually compared to Montmartre in Paris. 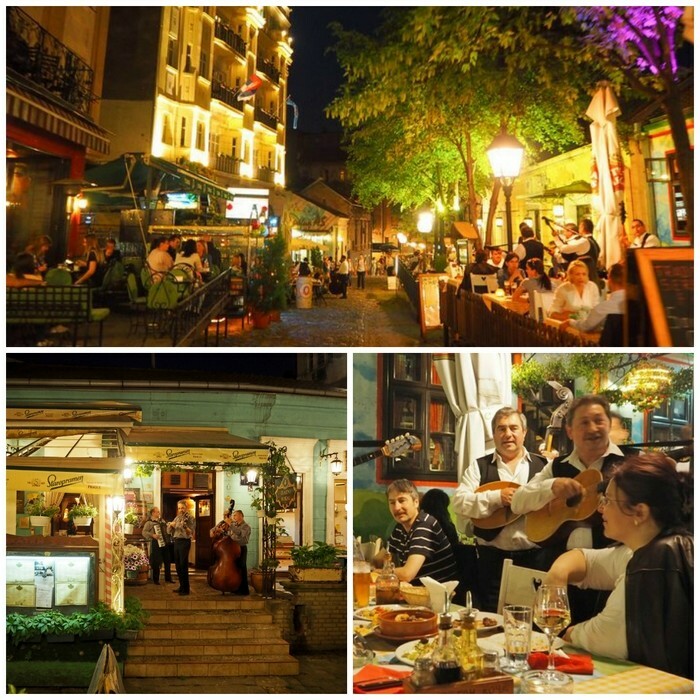 It’s an amazing place to spend an evening; you can find here some of the best restaurants to try local Serbian food. Plus, local live bands can often be found performing traditional music here. Definitely should be part of your Belgrade sightseeing. I am sure you will get hungry when wandering around the town. The good news is: finding great food in Belgrade is not hard at all. You don’t need much money to eat well here: much less compared to most European cities. The best restaurants in Belgrade are located right at the center. Restaurant Manufaktura will catch your attention immediately thanks to the large red umbrellas outside. Apart from the design, you will really eat well here. The service is great and every dish comes with an amazing salad. In the evenings (especially at the weekend), there is a live band playing. The next Belgrade restaurant that you should try is Vuk, just a stone’s throw from Kneza Mihailova Street. They serve authentic Serbian cuisine, including amazing desserts. A bunch of nice restaurants can also be found in Skadarlija. Nearly every choice is a good one around there–go for Maly Vrabac if the choice is too much for you to handle. They are just great and serve food in big portions. 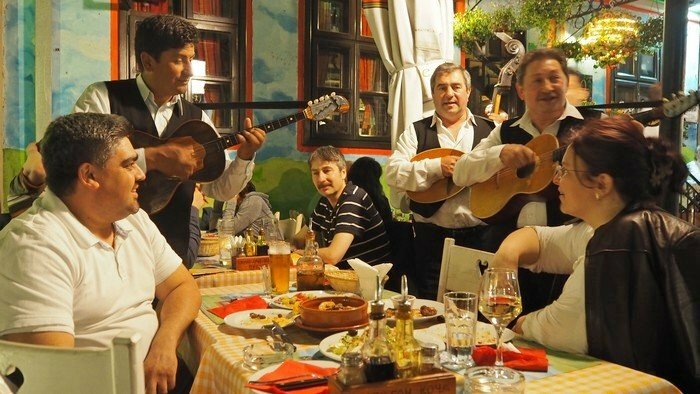 Serbian national cuisine is in fact a mix of food from all over the Balkans–it has characteristics from various countries of the former Yugoslavia. The national dishes you should definitely try in Serbia include ćevapi (grilled minced meat) and plejskavica (dish similar to burger). As for drinks, have a shot of plum brandy (šljivovica) or rakija, a kind of fruit brandy. If you are more into exploring coffee houses, check out the article of a fellow blogger who wrote an extensive article about cafes in Belgrade. 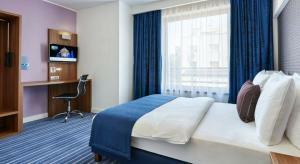 Belgrade offers a wide variety of accommodation options. The closer to the city center you can find, the better. I stayed at the Holiday Inn Express, but I also explored other accommodation options for you. If you like a homey atmosphere, you can consider booking a room (or an entire flat) via Air Bnb. Here is a 20 USD voucher that you can use for the booking! 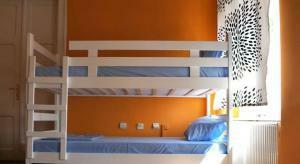 Perfect for backpackers: one of the best rated hostels in Belegrade. It is 10-minute walk from the city center. Check the availability and rates. 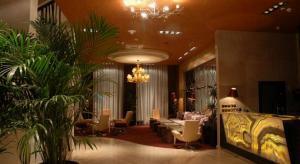 This 3-star hotel was my second home for couple of days:) Stylish and spacy rooms. 30-minute walk from city center. Perfect wifi. Elegant 4-star hotel. From their rooftop terrace you can see the whole Vračar district, including the St. Sava church. 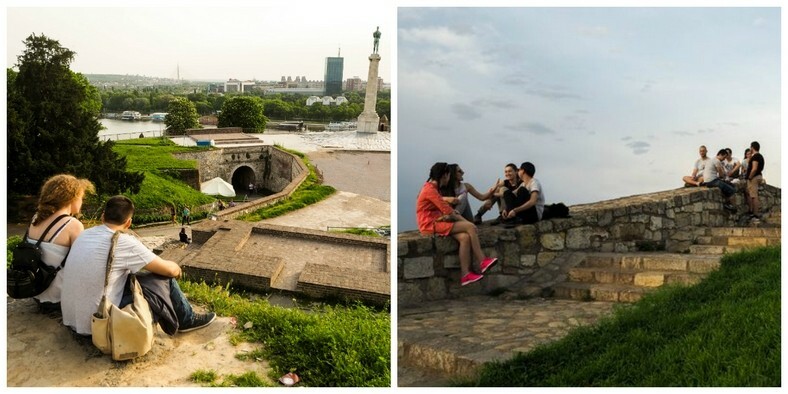 WHAT ARE YOUR FAVORITE PLACES TO SEE IN BELGRADE? Even after three visits, I feel like there are still many areas I haven’t explored in Belgrade. I wonder what Belgrade sight is your favorite? Let me know how you liked the city! If you are planning to see more from the country that just capital, check out Everything you need to know before you visit Serbia by a fellow blogger. There is also handy Ultimate Guide to Serbia so that you can check whether you really know everything. Also, there are also more ideas how to spend one day in Belgrade, Serbia here. 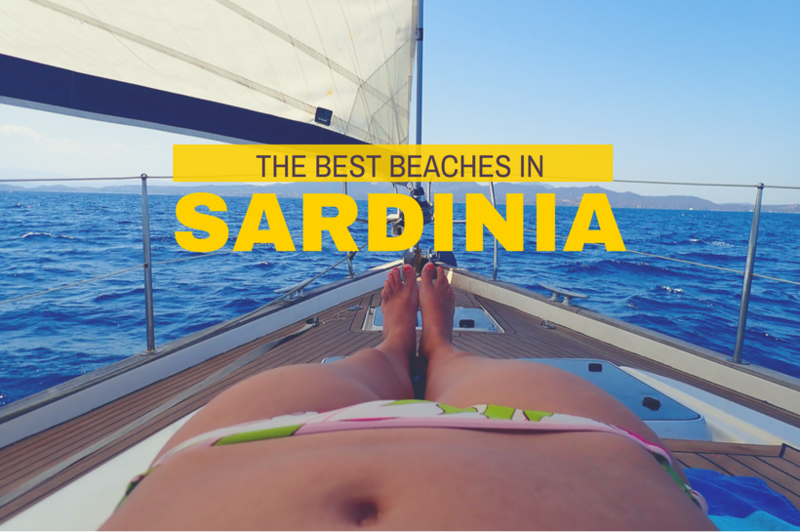 The post was created in partnership with Air Serbia. It was amazing to be back to this town – I enjoyed every minute in Serbia. I don’t know much about Serbia, just that people often write great blog posts about it! I think I would be most interested in eating and trying out all the restaurants. The plum brandy sounds quite interesting. Serbian food is new to me, so I know I would love trying everything! I spent 2 days in Belgrade last October and wish I’d had more time. I had the perfect Airbnb that cost literally nothing and it felt like a city where I would love to settle for an extended period of time. The only thing is that it wasn’t super vegan-friendly for me, but I still loved it! Ahh! I had no idea about the vegan food, but I guess there are some nice options for vegetarians at least! I can see why Skadarlija is likened to Monmarte – it looks so bohemian and cool! I love reading these posts about less traveled cities in Europe. I’m planning a trip there next year and trying to scope out the top spots to visit – this has bumped up serbia for me! Good. There are not yet too many tourists in Serbia, so it is great time to pay a visit and experience it. If you like cycling, the paths along the Danube are waiting for you! mind you Skadarlija is only one little street.. to be honest i always feel a bit ashamed for people writing it up as if it’s some great bohemian quarter.. because really it is just one little street filled with overpriced touristy restaurants.. literally two blocks.. three minutes to walk through it.. but then when you do… you end up on Bajloni market.. which is a really nice open air food/farmers market where you can find all sorts of wonderful fresh local products such as honey, cheese and sausages etc… the fruit and vegetables from local farmers is absolutely amazing here! Looks terrific. I haven’t been but I know I will go someday. After visiting Croatia, I developed a real interest in understanding the nature of the Balkan WArs of the ’90s and bought a book written by a UK war correspondent. It was an incredible read and gave me so much background on the whole Serb v Croat issues and the situations faced in Serbia, Bosnia. Croatia, Montenegro etc. Great read and a great reminder for me to get back there. Cool that you are interested in history. Belgrade as former capital of Yugoslavia has a lot to offer in this regard. Please read Bridge on the Drina by Ivo Andric. It delves back to the Ottoman Empire. It explains alot about the Serbian people and all that they have suffered and yet prevailed. I believe the Serbian people are very much misunderstood. They are a proud people. Because of all the years of occupancy, they refuse to allow outside forces to control them. But I can vouch that they are the most hospitibal people. I know because I am married to one for over 30 years. We currently live in Germany and we’ve explored basically all of Western Europe. Now, I need to start getting to the East! There are so many great hidden gems that so many people overlook. Serbia has been on my list for awhile, so great info and inspiration to get over there! I haven’t been to Belgrade but it looks like such a beautiful city. I love the history surrounding it. Would definitely check out the church of Saint Sava as I find church architecture fascinating. Hi Marteen, if you like architecture, this place is indeed great for you. Belgrade offers a mixture of styles. That church is beautiful. This looks like a really great city. I will have to add this to places I need to visit. You should! It’s biggest Orthodox church in the Balkans! No worries – Serbian cousine is supposed to be meat based, but I am not too fond of the meat (I still eat some, but not too much). Yet, during my trip there was enough of vegetarian meals, and lot of cheese! yes the Belgrade food situation is totally meat orientated, lately there have been a lot of new restaurants opening and zdrava hrana (health food) shops.. so the situation is changing but a few years ago being Vegetarian in Belgrade could mean you only eat cheese.. which incidentally is very nice here.. the problem for most vegans and “serious” vegetarians is that cheese Burek is also produced using pork fat. Pork is the most common meat here.. Serbia used to be a big producer of pork meat in the region. when i first came here 10 years ago waiters would suggest chicken and fish when you asked for a vegetarian option in a restaurant.. but that has also changed.. so yes it is possible to eat vegetarian food here but you have to search for it.. and it’s not very common.. They have very tasty breads and very good salads. Especially in season the fruits are absolutely delicious and then of course the desserts are awesome. For vegans it may be more challenging, but vegeterians should have no problem. Awesome recommendations. I am looking forward to visiting Eastern Europe one day and Belgrade looks so beautiful. Your pictures look stunning. Thank you! When you are around, you should also visit Czech Republic (my country), although we claim being the Central Europe. I really love the outside of St. Sava church–it’s too bad it has yet to be completed on the inside! Kneza Mihailova looks like an adorable street. I could wander around there for quite some time! Belgrade looks fantastic! It is, maybe you can also come by to visit when the church is finished! Serbia is interesting enough to spend weeks here. Even the smaller cities are interesting. I love that you can settle in the city center and walk to all these sites. Belgrade looks so inviting. I still would crave getting out of the tourist area to see more of the authentic livelihoods and neighborhoods. Perhaps?! That sounds cool! Maybe you can do couch surfing to get find more local friends to show you the other things apart from the monuments. Belgrade didn’t steal my heart if I’m being honest. We went to the ‘beach’ on the first day which was lovely. It had a lot to contend with after experiencing Ljubljana and Sarajevo mind you! I’ve just been to Bucharest, it was a total surprise – incredible city! 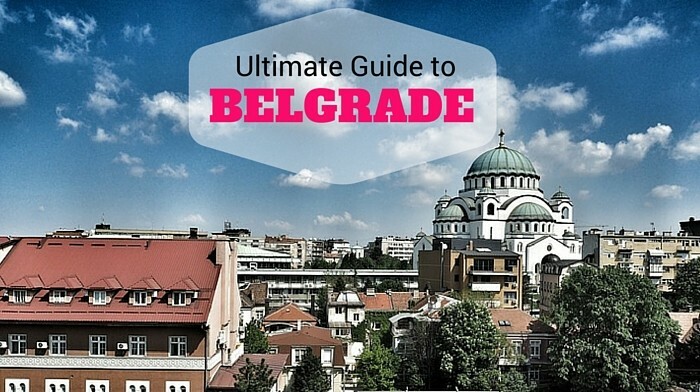 I’ve never thought about visiting Belgrade before but this post has got me thinking! I especially love the photo with the umbrellas, it reminds me of the lanterns in Chinatown here in Singapore 🙂 The church of Saint Sava is just beautiful. Yep Saint Sava is stunning, and it will be interesting to see it once more when the interiors are finished! I feel like I’ve heard a lot about Belgrade lately. Probably a sign from the universe that I need to plan a trip! Thanks for the info. You are welcome! I hope the guide will be useful for your visit! I loved Belgrade and I wasn’t sure I would. The walking street is really nice and it’s pretty easy to walk everywhere, which I loved. To me Belgrade is also a surprise, and it is getting nicer every year. I also love cities with pedestrian streets in the center. So nice to avoid cars at least for a bit! I liked it there as well – some places are pretty in the pictures and even prettier in reality. Skadarlija is certainly one of them! Serbia is the only country in the Balkan region for which I have to apply for a visa before visiting, which makes me a bit hesitant to visit the country – because of the hassle involved compared to other countries in Balkan, or Europe in general, where I can visit without having to apply for any visa beforehand. Have you been to other cities in the region? How do they compare to Belgrade? Do you think it’s worth the hassle applying for a visa in another country? (They don’t have any embassy in my own country.) Having said that, the church looks interesting, and I’d love to have a look at it up close. really? you need a visa? are you sure about that? what country are you from? 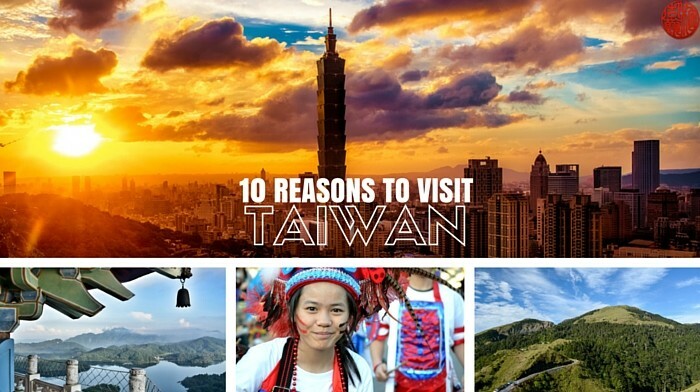 because almost everyone can come here without a visa.. Absolutely I think it’s worth it to apply for a visa. Welcome to our city and to Serbia. I wish you a pleasant stay. I had never thought to visit Belgrade, but I want to now! I love visiting walkable cities, and since you mentioned the city center is so compact, that makes me really want to explore this charming city. We’ve been to Belgrade last summer and absolutely loved it! We took the walking tour which was really fun and interesting and gave us insights into history, architecture and so much more about Belgrade and Serbia in general, so I’d definitely recommend it! Saw someone said they like walkable city. Thank you for the kind words about my city. Veronika is mentioned a lot of interesting places, but I would recommend the Church of St. Marco, White Palace – the residence of Serbian kings Karageorgeivc’s dynasty , The Old Palace the residence of Obrenovic’s king dynasty – the current town council, National Assembly – parliament, Military Museum at Kalemegdan and the Museum of Nikola Tesla, one of the most prominent Serbs. All of this is relatively near the pedestrian zone. Enjoy. I wish you a pleasant stay and a nice time. And, of course, to come again. A few notes: Food and drinks are not expensive. The city lived day and night. Food can be purchased at any time of day or night, in any place. Public transport is not expensive, time ticket about an hour you’ll pay 75 cents. Warning – beware of the taxi drivers at the airport and in the city. They like to take a lot more money. Another WARNING – do not express publicly their sexual orientation if you’re gay! Everything else is just fine for each recommendation. The official currency is the dinar, the euro is not in circulation. The official exchange rate is 1 euro = 120 dinars. Once again, welcome to Serbia! Yes I noticed that! It’s really quite convenient that everybody understands! Anyway, I had no idea that being gay or lesbian was such a big deal in Serbia. Good to know! Hi Martin, thanks for some great recommendations! I never feel tempted to visit he museums as long as there is sunshine out there, but at least I have something to visit ext time! 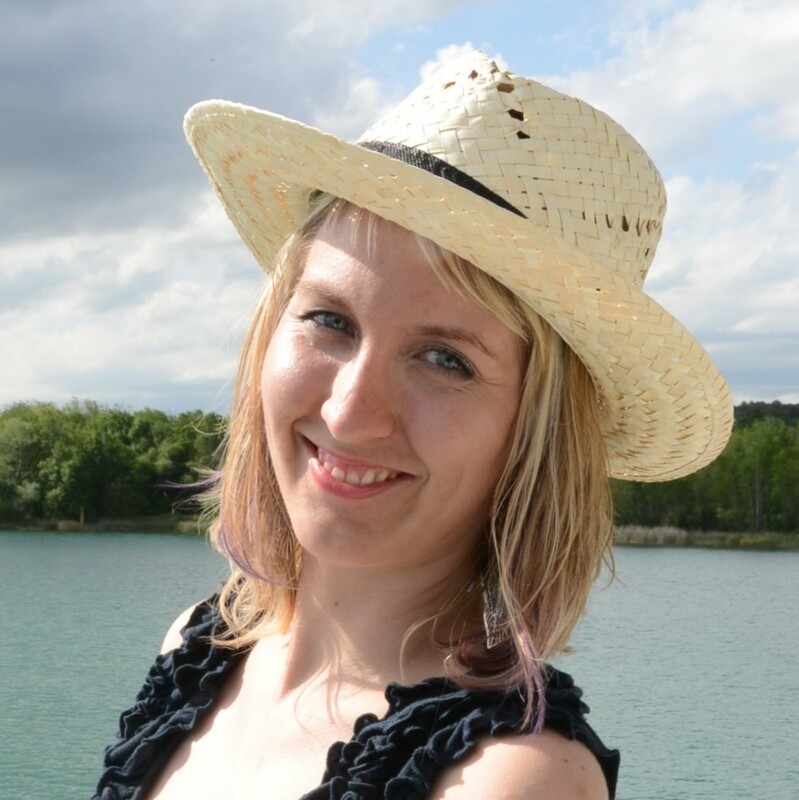 Hi Katarina, thanks a lot for your support! I came with my wife from Dominican Republic, Punta Cana, to Belgrade and stayed two weeks, even though I was born there, I was a complete tourist after so many years living in Caribbean. This July we are visiting Prague, Czech Tepublic and hoping for having as much of good time as you had in Belgrade! Excelente article with food tips! Never been to Belgrade and haven’t heard much about it except for the partying so this post was quite interesting! Thanks for all the tips! Looks amazing. It has been a few years since my last trip to the Balkan and it’s definitely one of the nices places in Europe. Unfortunately I’ve never made it to Belgrad, but I think it just got on my bucket list for places the visit. I am happy you want to viist Belgrade, I really enjoyed the city.